Katerina Karasmani Rajmeet Kaur is a graduate of the superior professional school of dance of Rallou Manou. In 2004 and started working as a dance teacher and a dancer, continuing at the same time her studies on movement with seminars of modern dance, improvisation, modern jazz, ballet, physical theater, pilates and yoga at LABAN (Great Britain) and the International Dance Festival of Vienna (Impulstanz). She then felt the need to deepen more in the relation of body, mind and soul, through yoga. 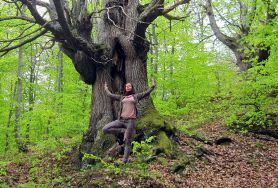 In 2006-2007 she completed the Teacher Training of Hatha Yoga at “Yoga and Budo Center” (Yoga Alliance RYT 300) with Andreas Provelegios. She participates in seminars of Anusara yoga with Desiree Rumbaugh, B. J. Galvan, Todd Tesen, Vivi Letsou, yoga therapy & anatomy with Martin Kirk and Maja Zilih and yoga philosophy with Carlos Pomeda. She also attended 20-hour seminars in mediation of Raja Yoga, Pranayama-Mundra-Bhanda and anatomy of Chakras with Swami Nirvikalpa. In 2011-2012 she completed the International Teacher Training of Kundalini Yoga “The Aquarian teacher” (level 1, RYT 200) as taught by Yogi Bhajan, Kundalini Research Institute (K.R.I 200h). 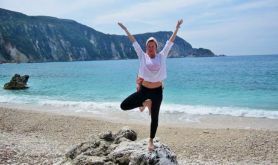 In 2012 she continued the Teacher Training of Kundalini Yoga (level 2) and attended many seminars in Greece with world-wide known teachers such as Atma Singh, Shiv Charan Singh, Jiwan Shakti Kaur, SoHan Kaur, Carolyn Cowan and France (European Kundalini Yoga Festival). 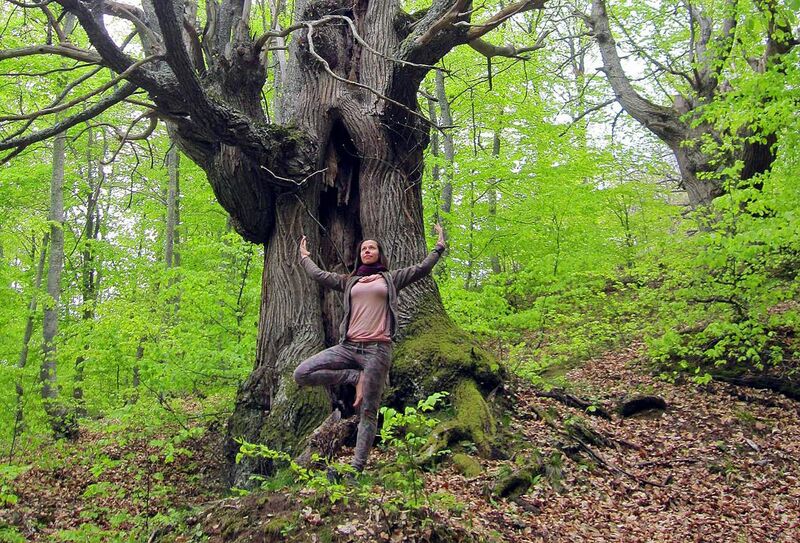 She teaches yoga since 2007 and continues to enrich her knowledge, encouraging her students to connect with their deeper spiritual self during their practice and to expand this power in their everyday life.